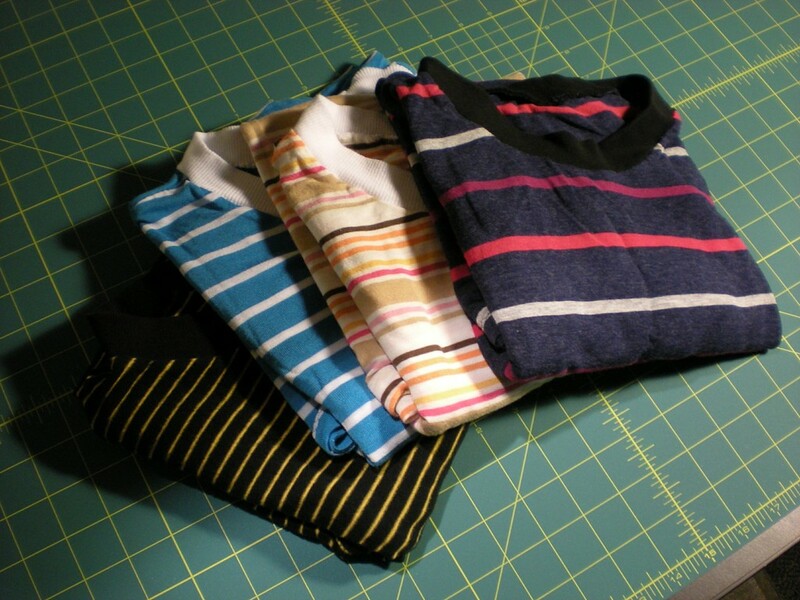 Shortly after getting my sewing machine a year or so ago, I started making T-shirts. Enchanted by the bright colors and patterns of the cheap jersey knit at the fabric shop, I ignored much of the standard beginner’s advice to stick with woven fabrics. I started cutting and sewing. My machine has a stretch overcasting stitch that worked quite well for sewing the shoulder, arm, and side seams of the T-shirt. This entry was posted in Knits, Shirts and tagged knits, Nancy Zieman, T-shirts on January 17, 2013 by mportuesisf. Sunday, I got the front bands, yoke and shoulders taken care of. The play-by-play follows. In an earlier post, I noted that McCall’s 2447 differed from the class pattern in that it has a separate, sew-on front band for the lefthand shirt front, where the buttonholes go on a men’s shirt. 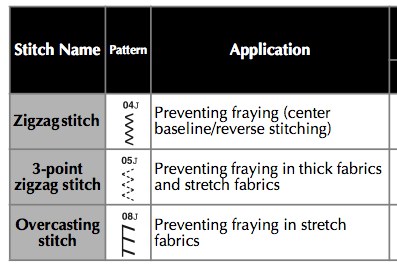 After having constructed it, I’m convinced I’ve fallen into a “home sewing” trap – a pattern company offering a construction technique that’s intended just to get the project done, rather than produce a nice-looking final garment. Left-side front band, initial stages of attachment. This entry was posted in Shirts and tagged mccalls-2447 on January 15, 2013 by mportuesisf. Construction of the shirt begins. The following blog entries will read rather like lists of notes; that’s because they are. I’ll try to be as entertaining as I can. I’m following my own construction ordering, but will mostly be hewing to the order of construction presented in the Pam Howard class. 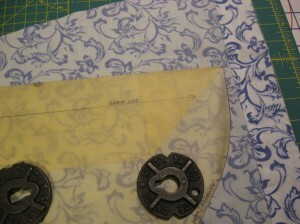 I am trying to group some tasks, such as doing all the interfacing at once. Also, following the advice in David Coffin’s book, I will be staystitching the shoulder and neck edges to stabilize the fabric. I trimmed the outer edges of one of the collar pieces by 1/8 inch, to make it an undercollar piece. This was suggested by Pam Howard for proper “turn of cloth” on the complete collar. Next project, consider adding an extra pattern piece for an undercollar based upon the upper collar piece. This entry was posted in Shirts and tagged mccalls-2447 on January 13, 2013 by mportuesisf. 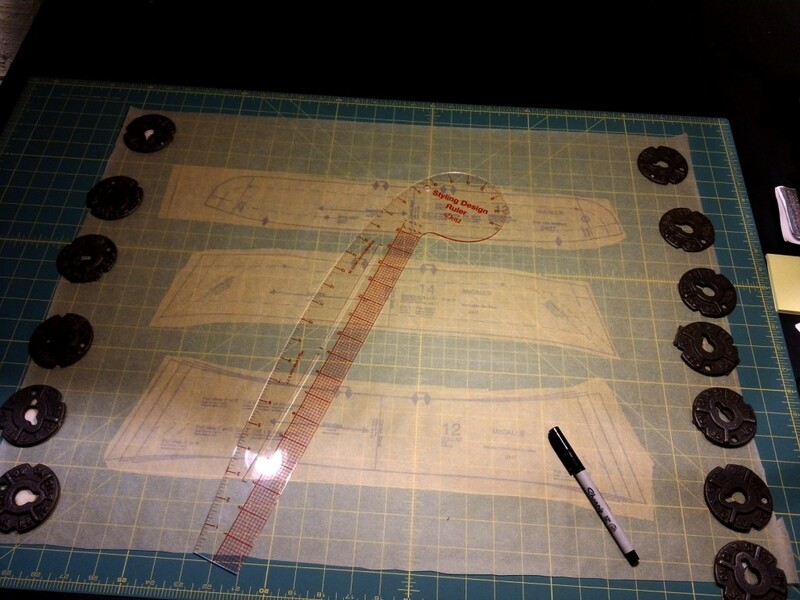 Last night, I finally completed layout and cutting of the muslin for my shirt project. Because I’m using a bedsheet, it doesn’t match the standard dimensions (45 or 60-inch between selvages) that you would expect from fabric off the bolt. In fact, instead of selvages, it has hems. So I did my own layout, only using the pattern instructions to be sure I was getting proper counts, and right sides/wrong sides for each piece. 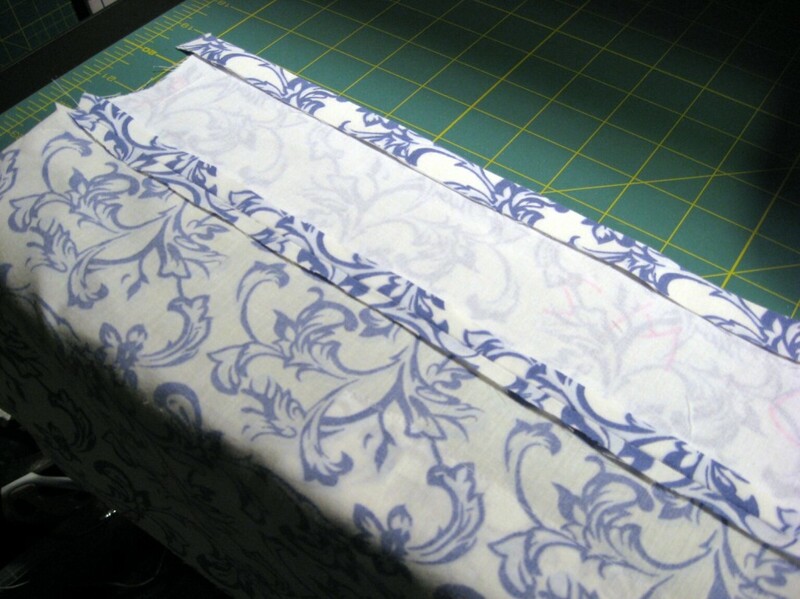 I was able to do back, sleeves, left front along one strip of the fabric selvage to selvage. This entry was posted in Shirts and tagged mccalls-2447 on January 11, 2013 by mportuesisf. Projects take a long time here at Line Of Selvage headquarters. Mostly it comes about through lots of puttering, but also because I’m sometimes too meticulous for my own good. Today I finished tracing and cutting out the pattern pieces from tracing paper. The tracing paper is from a big roll of yellow artists sketch/tracing paper I bought at the art supply store. Some pattern pieces ready for tracing. 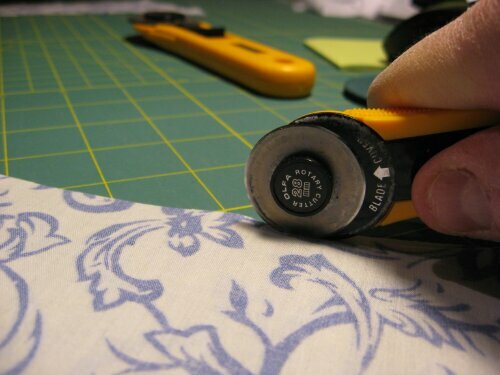 This entry was posted in Patterns, Shirts and tagged mccalls-2447 on January 6, 2013 by mportuesisf.